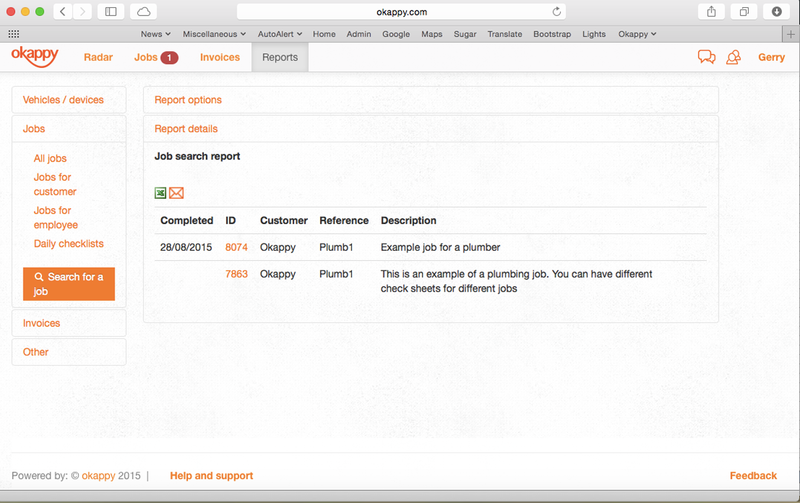 With Okappy, it's quick and easy to retrieve a particular job using the job search bar. 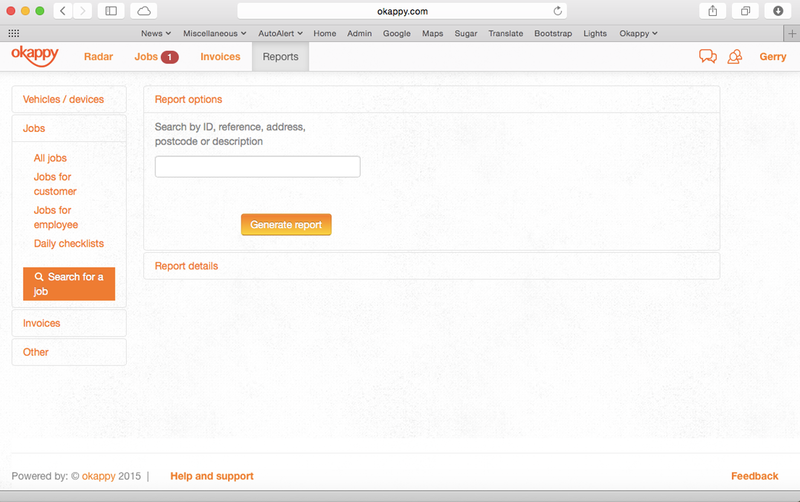 Simply go to Reports, Search for a job. You can view the report on screen or simply export to Excel ( ) or Email ( ) to the recipient.